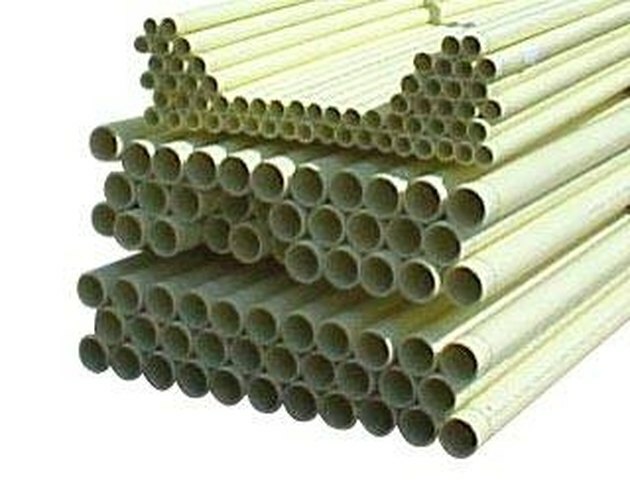 What Is a PVC Pipe Used For? Undoubtedly, polyvinyl chloride (PVC) is one of the most widely used products in the world today. Its uses are limited only to the imagination. From construction to individual household use, this miracle product continues to gain popularity. By the year 2016, the world's volume stands to reach a staggering 40 million tons. This number is even more astounding due to the fact that PVC is such a lightweight material. PVC is extremely strong under pressure and will not rust when exposed to moisture. As it is crush-resistant, lightweight and comes in many different lengths, it has become the number one choice for contract plumbers and homeowners alike. Unlike copper tubing, PVC will not corrode and will last for many years and requires only a cut and some glue to replace. 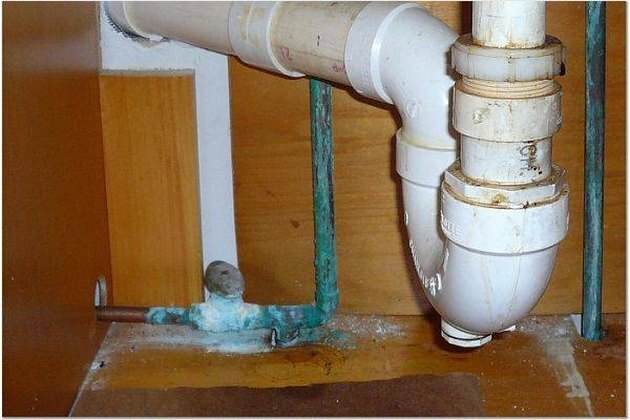 From water lines to sewer lines, this material can handle almost any plumbing job. Having a sprinkler system saves time and money. With PVC you can install your own sprinkler system and can even create a sprinkler system that you can take with you if you move. A complete above-ground system can be put together in just a few hours, and the cost is minimal. The biggest expense will be the sprinkler heads. Another great fact is that sprinkler systems help to save water which, over time, will save you hundreds in water bills. PVC can be used to make a multitude of indoor and outdoor furniture pieces. The most popular use is the patio set. A PVC patio set is strong and waterproof, yet lightweight and inexpensive. Patio sets can cost anywhere from $200 to $2,000, depending on the design and the place it is purchased. A PVC patio set will cost a fraction of that price and will not rust or corrode. Should a piece get damaged, simply repair or rebuild the broken piece. Another great idea for PVC patio sets is to purchase the stone, leather or metal colored spray paints and give your set a unique look that will turn heads. Without a truck to haul your fishing rods to the nearest lake or ocean, it can be a bit difficult. PVC will provide you with an answer. Buy three or four 6-to-8 inch diameter PVC pipe long enough to accommodate the fishing poles you wish to carry. Screw or glue these together and cap one end with PVC glue. The other end should be capped as well, but do not glue. Fasten it with a latch so that it can be opened and closed. Attach these to the top of the car, preferably on a luggage rack. Placing two on each side of the rack still leaves room for the luggage you may also be carrying. 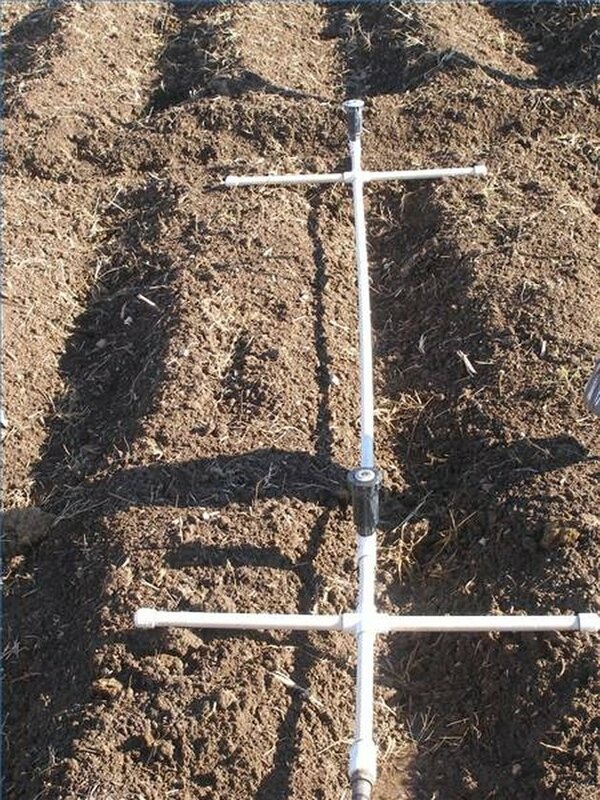 Remove the reels from the rods if needed and place them in the PVC tubing. Close the cap. You now have a way to carry your rods without a truck. Having the right fishing equipment is a huge plus for any fisherman. 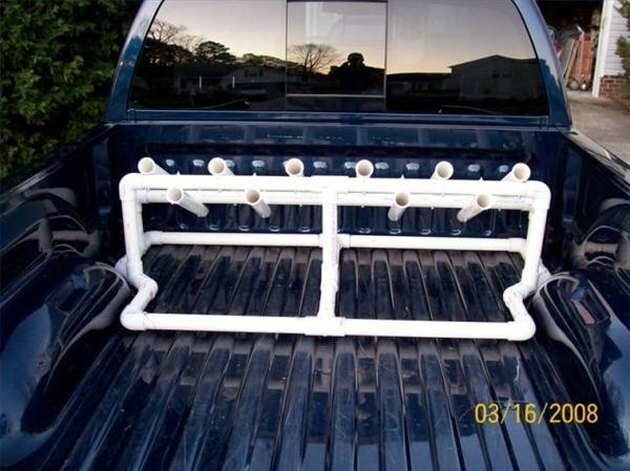 The truck bed PVC fishing pole holder will transport your rods without tangling them. Once you reach your destination, they can be used to hold your rods while you're fishing. Be sure to anchor it once it is on the ground. This is inexpensive, requires about an hour to assemble and is sturdy, waterproof and lightweight enough that anyone could handle it. 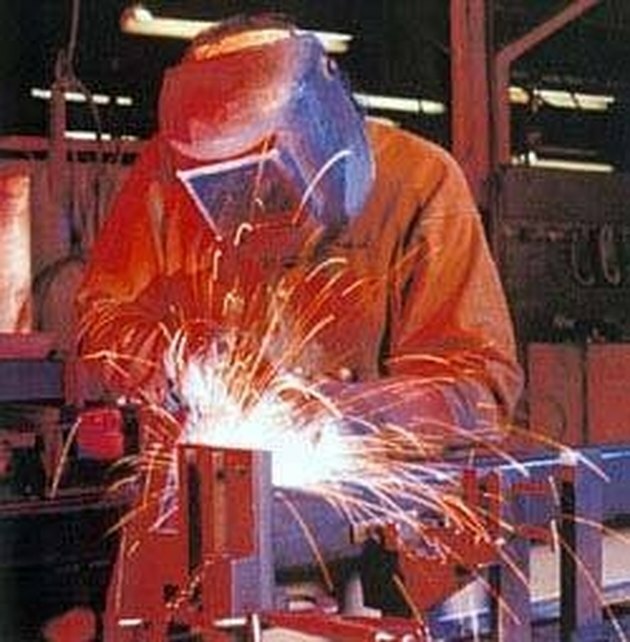 Welders have a large assortment of different-sized rods that need to be easily accessible and preferably assorted for maximum efficiency. The answer is to make a shelf out of PVC pipes. As PVC comes in many different diameters, create a shelf either in your standard rectangle shape or in an A-frame design by cutting the PVC to the length needed, gluing the pieces together and attaching the PVC shelf to the wall where the welding rods can be assorted and easy to get to. This design can also be stood upright, if preferred, as long as the bottoms of the PVC are capped. Attach to a square cut of wood or metal. The floor stand can even be put on caster wheels to make it mobile. 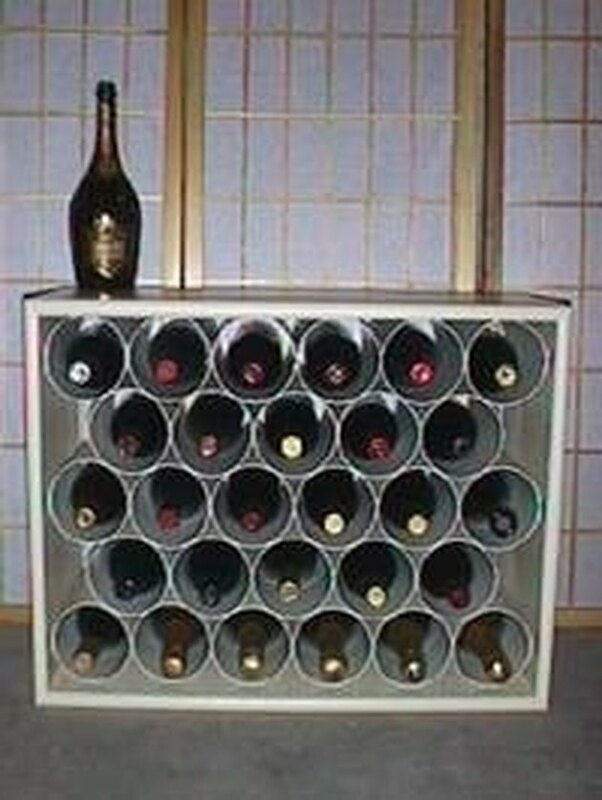 PVC can be used to create a beautiful wine rack. Simply cut several pieces of 8-to-10 inch diameter PVC and glue together with a strong adhesive. The A-frame shape is common, but attaching the cut pipe into a wooden shelf adds elegance to your design. If you choose not to add the shelf around the pipe, you could paint the wine rack with a custom spray paint, such as a marble or leather color. Brenda Jones has been living and working at Bar 3 Ranch for eight and a half years as the finance manager. She writes freelance articles for a small local paper as well as articles for websites and magazines. Can I Build a Shed Using PVC?